Nathan Carter has become Ireland's biggest country music star. He is heralded by many as reviving the country music genre and bringing it into the mainstream. He has sold out venues across the UK and Ireland, has landed his own primetime show, and is loved and respected by legions of fans across Ireland. But how did a lad from Liverpool accomplish all this before the age of 27? 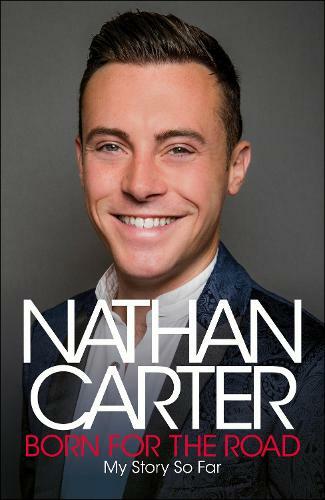 In his revealing and inspirational autobiography, Nathan reminisces about his music filled childhood, and growing up in Merseyside with his Liverpool-Irish family. From his first taste of showbiz at the tender age of four, to his success on the north of England club circuit and his subsequent relocation to Donegal, Nathan explores the twists of fate that took him to chart success and to become Ireland's adopted poster boy for country music. Please note - we have a very limited amount of time with Nathan and we expect demand for tickets for this event to be high. Please get yours soon to avoid disappointment. Access to the signing queue to meet Nathan will only be available to ticket holders.